Do you want to find artwork and illustrations to use in your slider? Illustrations are a great way to add some originality to a website and strengthen your brand. There are many ways to find illustrations — you can get an artist to create one for you, find images online, or use a photo editor to compile free illustrations into a bigger picture. If your slider needs illustrations, try out a few of these websites. Some of them are free too! Envato Elements is a subscription-based service that gives you access to an absolute ton of resources. Videos, music, templates — and, of course, illustrations of all varieties. Vectors, PSDs, and illustrations, from simple graphics to full-on digital art pieces, are here to download. This awesome resource does exactly what it says: provide you with thousands of free images. Characters, backgrounds, elements. Vectors, digitals, and even hand-drawn or sketched work. Use the elements to create a graphic for your slider, or put your captions on a pretty abstract background. A premium subscription service (with some free stuff too! ), Pixeden offers a variety of graphics for websites. 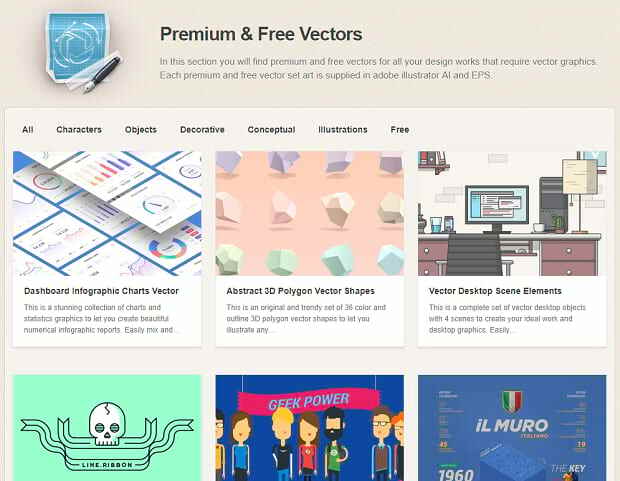 Icons, vectors, and other illustrations are in abundance here, all for a fairly cheap subscription. Need vector art? Vecteezy is the place to get it. There are both free and premium graphics here, and a pretty good sorting system so you can locate exactly what you need. There’s even an editor so you can tweak vectors to your liking. Medialoot is packed with all sorts of graphics, effects, and even Photoshop brushes. The website is primarily premium, with both a subscription and individual purchases possible, but there are some free graphics to be found here too. 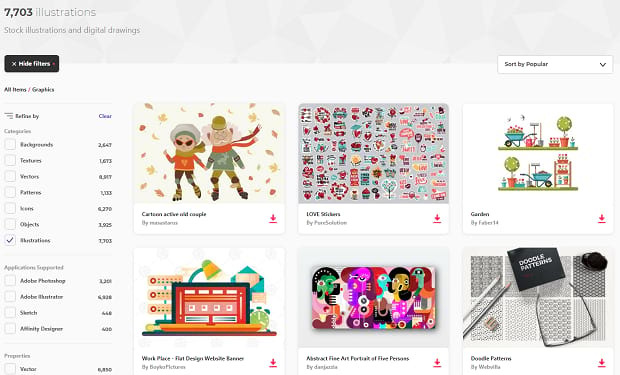 Check out the vectors and illustrations categories! There are plenty of royalty-free photography websites, but what about illustrations? VectorStock contains hundreds of thousands of vector images. Twelve million, to be precise! There’s quite a few free vectors are well, but these can only be used in personal projects. How does a pack of 3000 simple illustrations sound? 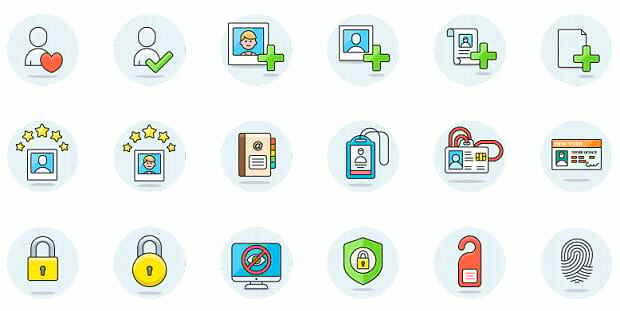 Streamline Icons allows you to download a free sample that you can use in your projects, purchase a single category of icons for cheap, or even buy the whole pack at a discount. If you need simple UI icons, try this out. 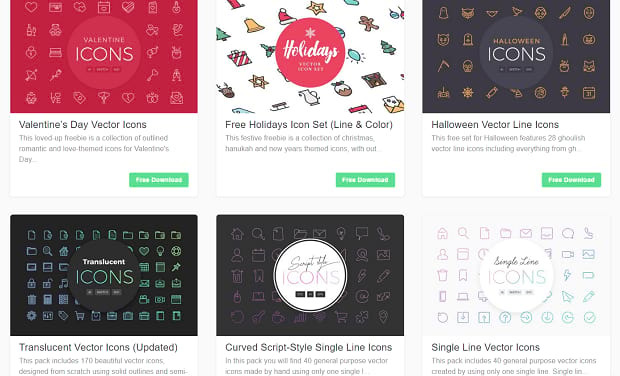 Simple, open source vector illustrations, customizable and perfect for any project. No digging through license terms and contracts — just pick an image you like and download it in vector or PNG format. What more could you ask for? If none of these websites appeal to you — your project requires individualized, custom-made artwork — your best bet is to commission an artist. The price of this will vary largely depending on the scale, how many pieces you need, the skill of the graphic designer, and the artist’s personal price. You can find designers for as little as $5 on Fiverr, though of course art tends to be minimalist in design due to the low price and short time. Other great websites to hire freelance artists for one-time gigs include Guru, Hire an Illustrator, Dribbble, and Upwork. You can also seek out well-known artists through their portfolio sites. Illustrated sliders can leave a big impact on your visitors. There’s an option here for every budget, free and beyond. To get personalized artwork you’ll definitely need to pay, but some of these free resources will accomplish what you need. If you loved this, please follow us on Facebook and Twitter for more slider and WordPress tutorials.